Anniversaries appear year after year but it is good to give a thoughtful gift to your life partner to keep the romance alive. 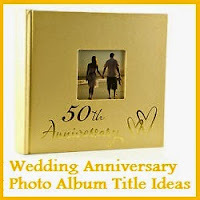 If you are running short of ideas for the perfect romantic wedding anniversary gift for your spouse help is at hand. 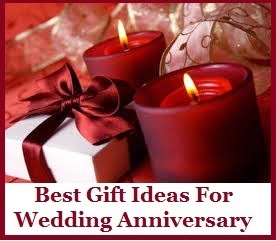 Here are some awesome romantic gift ideas for wedding anniversary. Breakfast in bed: This would be another perfect anniversary gift, but an inexpensive gift at the same time. Let Love be the centre theme of the breakfast. You could cut the slices of bread with a cookie cutter and make a sunny side up egg in the form of a heart and serve it with jam, fruits and other spreads. Decorate the plates beautifully with berries and other colourful fruits. Let the breakfast surprise her! Romantic Personalised Calendar: Printable calendar can be transformed in to a love gift that can be placed on tables to keep the romance alive. Get some cute pics of your two that you hold close to your heart and print them on the table calendar. As he or she turns the leaf of calendar each month, let the calendar on the table keep memories alive. Chocolates, nuts and wine: If your spouse is a chocolate and wine lover, you could consider the gift basket with favourite chocolates to add a smile and satisfy the sweet tooth. Who would know the favourites of your partner better than you? Handpick the favourites and make a wonderful gift basket. This gift is sure to add a smile to your spouse’s face. 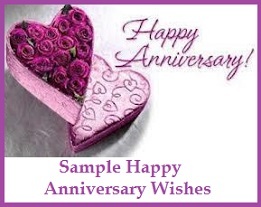 New Home House Keys : If buying/ building a house has been on your plan, try buying/building a house and present the key on your wedding anniversary. Even a house can be a symbol of your love. This gift is sure to surprise her! Based on one of the greatest love story ever told, the Emperor Shah Jahan erected the Taj Mahal in memory of his wife. Creative gifts: No gift can say” I Love You” better than the gifts you made for your spouse using your own hands. If you are artistic, use your creative ideas to transform an ordinary pillow case to a love gift. Example: Two swans with few romantic words. You could even consider buying or baking simple goodies and packing it into a box with your creative ideas. Poems: If you are poetic, write some poems. Words that flow from your heart can transform into a love gift for your partner. Decorate it, frame it and present to your spouse. It doesn’t matter if your gift costs a little. Even simple gifts can speak a thousand words about your love. 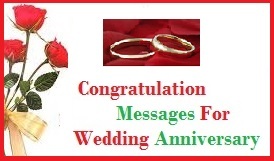 So go ahead and present a romantic wedding anniversary gift to your love with love! Your gift can speak a thousand times about the love of your heart. Heart-warming love gifts for someone you love can be really special. Every year, it is good to buy or make something unique and impress the one you love. 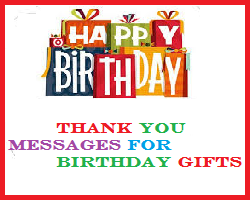 Don’t worry if his or her birthday is very close and you don’t have any idea on what to buy as a gift. Here are some romantic birthday gift ideas that you can use. 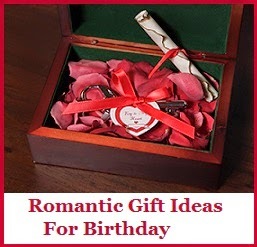 Read on to find the perfect romantic gift ideas for birthday. 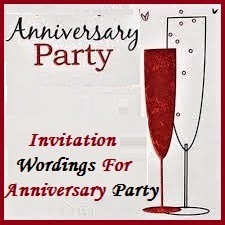 Also check an amazing collection of romantic birthday cake wordings for your someone special. Tea lights: A tea light with romantic messages can light up the one you love. These tea lights can be ideal for a candle lit dinner. It will be ideal if the candle stand has a message. You can add your message to the candle light dinner to personalize it. Heart shaped Key chains: A heart shaped key chain with the name of just two of you might be another lovely gift. There are key chains with name on it or you can try ordering online with names engraved on it. Pendants: If you have a breathtakingly beautiful gift in mind, gold pendants on a chain can be an adorable gift. A pendant that is heart shaped or with floral patterns can be an ideal gift for her on her birthday. These pendants can be encrusted with diamonds or stones based on how much you are willing to spend on the gift. Hand chains: Another lovely gift for birthday are the hand chains. They come in variety of designs for him and her. A delicate chain is eye-catching and can match most outfits for ladies. A gold bracelet with crystals can be considered for men. Gastronomy Kit: For foodie lovers, the birthday gift can be something gastronomic. You can make an extraordinary kit with recipe book, tools, ingredients and everything packed in a gift basket to prepare dinner. It can be presented before birthday for a romantic dinner night. Desk gifts: Romantic gifts can be selected for him or her to place on their desks. Shimmering heart shaped gifts with lights and songs can be considered. An example would be two flying butterfly in a heart shaped glass jar. Bed and pillow set: Bed and pillow sets come in variety of colours and shades. Consider this as a birthday gift to surprise her and give her a good snooze. Think about pillow cases with good romantic and humorous prints. Remember, a print can tell a thousand words. Spa Gift Certificates: Spa gift certificates are ideal as a romantic gift for birthdays. 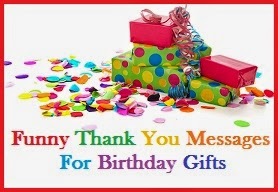 Different massages are available online and you can choose one to pamper him or her on their birthday. Little bit of imagination and a bit of study on what your partner likes, can help you select or make a romantic gift. Gifts need not be expensive. What matters most is selecting the right birthday gift and personalizing it. Your loving, faithful and hardworking wife deserves nothing but the best Valentine’s gift you can get. It does not necessarily have to be expensive if you cannot afford one. It has to come from the heart. Note that giving romantic gifts does not only have to be limited to the Valentine’s Day if she does not celebrate it. Romantic gifts can also be given any time of the year. 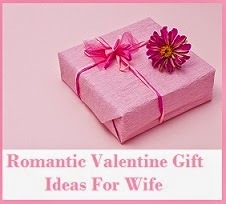 Here are some suggestions on best romantic gift ideas for wife. Chocolates – Traditional but not tacky, chocolates and women almost always come together well. It is an aphrodisiac, by the way. If your wife is a chocolate lover, give her one box of the finest chocolates you can afford and watch her eyes glow with delight. iPad or a Tablet PC – If she still hasn’t got one, maybe it’s time you give her one of these handy mobile devices so she can enjoy the digital world wherever she goes. Who knows, your menu would even get better once she discovers lots of ideas online. Give her a day off – You really want her to enjoy a special day and make her feel loved? Do the house chores, including laundry, scrubbing floors, clean the rooms, bathrooms, and cook all the meals. Just let her watch the movie marathon of her choice or read in a cozy corner. Personal Coffee maker with travel mug – Coffee fanatic women, especially those who are required to work on their desks for long periods of time will appreciate a personal coffee machine which they can conveniently reach when the need a dose of caffeine. New Phone – With the fast paced developments in mobile technology, there are newer phone models with attractive features. If you think your wife’s phone is outdated and she is afraid of changes, why not buy her a new phone as an additional gadget that she can enjoy? Spa pampering – All women love to be pampered. Whatever the day, a spa pampering service is a welcome and a much deserved gift for your wife. Make sure to book in advance so she does not have to wait when she arrives. A romantic dinner– Prepare a private dinner either at home or on location. Make it a full course meal with all the works, including candlelight. Stay away from the noisy restaurant crowds and show her that all your attention is hers without any distraction. This does not have to be expensive. Be creative. A seedling – Does she love gardening? Is she an environmentalist? Plant a tree together in a special place in your garden, for you to nurture and grow as your marriage grows and age. This tree will be a beautiful symbol of your relationship. A bouquet of her favorite flowers – A classic and customary gift considered by many women, the Valentine’s Day flower bouquet is a good choice if your wife loves receiving flowers. Wristwatch – Watches are classic gifts for any occasion. A watch is also considered a romantic gift item. It can also symbolize that you value her time as well as the time of her life she is living in right now. Carpe Diem! Lounge chair – This may be a bulky gift but it sure is a nice and romantic way to show your wife that she deserves to take a break from the daily duties and relax in her own comfy lounge chair. Take her window shopping before you finally purchase one to make sure you will give her the chair she really likes to use. Bed and Breakfast booking – Plan a romantic getaway for this month at a quaint bed and breakfast place not too far from your town. Enjoy the moment, cuddle near the fireplace, or just sit and watch the sunset together while sipping wine and dining on comfort food. Phone case –Maybe it’s about time your wife’s phone case needs a replacement. Take this opportunity to give her a gift to show that you also care not only for her but for her gadgets as well. The latest Kindle or ebook reader – If she loves books or magazines, the latest Kindle device or ebook reader might be much appreciated as a gift. Load it up with magazines and book genres she loves to read. Tea gift basket – She may not be a coffee drinker but she may be a fan of fine teas. The tea gift basket which includes various tea variants as well as lovely tea diffusers can be a perfect gift. Valentine's day is all about expressing your love. Express your affection by gifting your someone special this Valentine's day with a romantic thoughtful Valentine's gift. You could make one of your own or buy one from the store without spending a fortune. Whatever you choose, your gift is meant to express how much you love. If you are looking for the perfect romatic gift ideas for Valtine's day here is an awesome collection of romantic valentine's day gift ideas. Laze embellished vases: Flower vases are common, but you could create one of your own with some creative ideas. Paint plain glass bottles with beautiful paint. A dark red paint would look nice, if you are using white lazes. Add on a bouquet of flowers and present as a beautiful romantic gift. Wrapped pen stands: Pen stands can be an attractive gift for Valentine's day. Wrap a plain glass with a used sweater and pieces of sweater accents like buttons, flowers or embroidery. Pin it up and the stitch along the sides. Turn it over and slip on to make a beautiful wrapped pen stand. Gift it with love! Cloth case for gadgets: Cases for all gadgets are common these days. You could make one with a winter jacket. If you are no longer wearing that winter jacket, you could turn it into a gadget case. Just keep it over the gadget and cut with an extra inch along the sides. Stitch it and turnover. Use floral prints for a feminine gift and plain ones for guys. Embellish with designs, stickers, lazes and other things to create a romantic gift. Fragrances: What could be more perfect as a gift for Valentine's than a fragrance? Consider romantic fragrances such as Dior Addict Perfume by Christian Dior, Tresor Perfume by Lancome, Gardenia by Chanel and Stella Eau de Parfum by Stella McCartney. All are awesome. Heart shaped waffle maker: Is there any other way to make special waffles on Valentine's day? Using this waffle maker, heart shaped waffles will be ready for Valentine Day breakfast. Present it to ultra sweet couples who are fond of waffles. Chocolate cookies: Cookies or cakes frosted with butter cream, and decorated with icing and packed in a heart shaped box could also be another prefect Valentine's day gift. Decorated sugar cookies, fudge brownies and pretzel clusters are also ideal to replace ordinary cookies and cakes. Heart shaped cushions: Personalised heart shaped cushions can be ideal for sweet couples. Embroider the cushions and add sweet messages as " Love life is about to take an interesting turn". Romantic messages are also great for these cushions. Cork bottle message: Have a small and cute cork bottle? Write how you feel on a colour paper and insert into the cork bottle. Tie the bottle with a red ribbon and place it in a jewellery box to turn it into a gift for someone who truly loves you. So what are you waiting for? With all the romantic gift ideas above, surprise your sweetheart with creative or unique valentine gifts this year! Do you find yourself in a great dilemma whenever you need to find a gift for the woman in your life? Generally most guys find it hard to surprise their beloved with a perfect present, right! Well, let me tell you that buying a romantic gift is much easier, than accompanying a woman on her shopping spree. 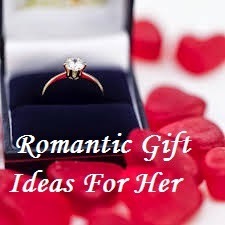 If you want to please the womann of your dreams with special and thoughtful presents check these romantic surprises that can easily melt your woman’s heart away. Romantic gift ideas that can surprise your woman and make her feel special in a special way! Surprise your woman by making a love hamper and to maximize the impact, send it to her place of work. I can assure you that she will simply adore your romantic surprise. Here are few tips to make the love hamper. Take a gift box and cover it with deep – red glossy paper and tie it with a white satin ribbon. You can also use your imagination to decorate the box the way you want, but try to make it stunning and startling. You can fill the hamper with what your woman loves. Scented candles, massage oils, chocolates or cookies , sweet candies, perfume , jewllery, cosmetics etc you can actually put anything that she likes. Assorted gift items bedded on crisp tissue paper with red rose petals, in a beautiful red box; will be an absolute romantic treat for her. 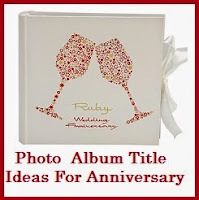 Photo Frame is one of the sweetest romantic gift ideas, which will really mean a lot to her. Simply search for a favorite photograph of the two of you together and then set it in a beautiful frame. She will love your thoughtful gift and will proudly display your frame of love at home or work. Though photo frame is a simple gift, but in reality it says a lot. It will be constant reminder to her of your happy times shared together. Gift vouchers can be an excellent romantic treat. There are varieties of gift vouchers available these days that can be used to make your woman feel special. Do not give the voucher in her hand but make her work hard for it. To make it a special surprise, simply plan a treasure hunt game for her in the house or your garden, and let her find her way with the clues leading her to the romantic treasure. Gift vouchers can be a great surprise gift for her, or indulge in romantic experiences for two to spend some special moments together.You can choose to pamper her by presenting a Spa Gift Voucher or enjoy a chocolate making Workshop together. Ask her out for a romantic Cruise Dinner or an Ice dancing experience. Couple photo shoot is one of the most exotic romantic Gifts. Invite her to a photo shoot for some steamy pictures of the two of you. This would be an extraordinary day that will be remembered as an ultimate experience. 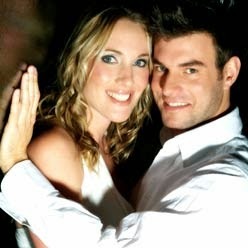 Flatter your bodies together and let the professional capture your romantic poses. This would be definitely a day you’ll remember forever and the photographs of course will be cherished. Its rather important to keep surprising each other with little thoughtful gestures and you will have your partner for keeps. Happy gift hunting! Lady of your dreams surely deserves gifts whatever it costs. It could be a Valentine's Day Gift, an anniversary present or a simple surprise gift. If you are looking to pamper your lovely lady with a romantic gift then you have reached the right spot.There are plenty of ways to gift a romantic gift without breaking the bank. 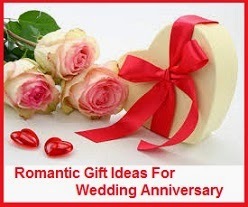 Here is an amazing collection of Romantic Gift ideas for her. Bangles are beautiful and it would be better if they are inspiring to your partner. A simple but inspirational bangle can have inspiring verses as " You believe and You can". Such a bangle with inspiring verse can be inspiring to her when she is alone. Bangles of sterling silver with plated gold would be just nice. If you want to consider something smaller, consider a ring with an inscription. Stylish, elegant and sentimental ring in heart shape with birth stones would be another nice gift for her. Simply engrave first names of close family members or just the name of you and your partner with whom you wish to tango and add on precious stones to make it extra special. If you short of cash and would love to gift her a personalized gift, get a simple photo frame. Use scrabble tiles to paste the name of you and your partner with an intersecting letter. In case, there are no intersecting letters, use the word "Love" to join them. Decorate and present to her and it would surely leave her amazed! 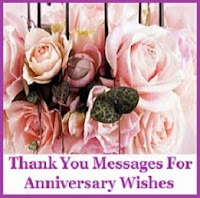 Perfumes are romantic and it would be really great to gift special romantic perfumes. Guerlain Shalimar Parfum and Yves Saint Laurent Parisienne are just two examples. Browse for romantic perfumes and you could find lot more brand to entice her. Cotton nightdress would be cool and comfortable. Gift her a floral print or embroidery night dress to drift to sleep in the most comfortable way. Elegant pendants with ordinary stones can be another romantic gift for her. If you are looking for something expensive, look for pendants that are embellished with crystal cut diamonds. For more elaborate gifts, these pendants can be coordinated with matching ear rings. Glass jar candles with hand poured candles infused with essential oils. These candles can fill the room with intoxicating scents. A sweet candle can also have romantic quotes. Citrus rose candles can be the most romantic gift for her. Look for scents that will be truly loved by her. Pumps are great as gifts too. Look for cool shades with adjustable straps and buckle closures. Peep toed pumps will be perfect. If you know the exact size, pumps are ideal as a gift for her. Else, buy only from shops that has a replacement policy. 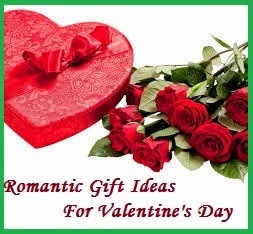 With all the tips above, go ahead and buy the great romantc gift for the lady of your heart. Irresistible gifts out of love could rev up your romantic life! Happy Gifting!